We at Ujudebug are pumped up with pride and ecstasy at being able to have the privilege of acting as the technical support team in the upcoming North-East Festival to be celebrated in Delhi. 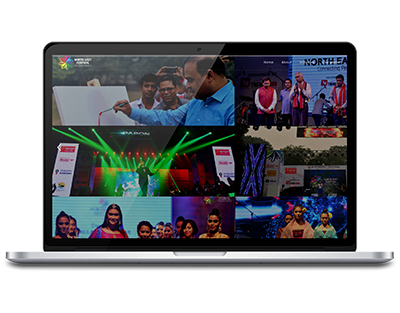 Since its inception, the North East Festival has always acted as the premier showcase event of the North East in front of the world. It has been able to gift so much to the trade, tourism and the overall recognition of the North East as a resourceful and vibrant entity that UJUDEBUG can be nothing but proud of itself in being a part of this festival. We hope to be as useful as possible and even beyond that in making this event a grand success and have the satisfaction of being able to contribute at least something to the growth and development of the North East. We at UJUDEBUG will always hope to spread the essence of the North East in the world in whatever way possible. North East Festival – Connecting People, celebrating life is an attempt to create awareness about North East India and to promote tourism. Last two years, North East Festival organised in IGNCA, Janpath, New Delhi attracted lakhs of people and was extensively covered in national media. To reduce the regional gaps and to celebrate the essence of North East India, NORTH EAST FESTIVAL was organized at IGNCA Ground, Janpath, New Delhi. The event considered as the biggest ever festival on North East Region in National capital aimed to highlight the positive aspects of the region which is so full of talents, resources and success stories. The festival has been widely appreciated across all sectors including by the people of the region, thousands of people came to see this maiden festival. Around 100 newspapers in the National media appreciated the event and publicity received in the event is unprecedented in the history of this region which was mostly getting negative media publicity over the years.